Dog Eat Dog, a film directed by the great Paul Schrader. He has written one of my favourite films of all time like "Taxi Driver", "Raging Bull", and I also roughly enjoy "Rolling Thunder". He may not be as great as director compared to a writer, but Schrader has directed a great film "Affliction". From then his career may have took a turn, but he has done couple of films good in between. But here comes the ultimate comeback (I think) from Schrader. First of all, it was the Closing film at Cannes in Directors Fortnight Section, this might be just be the best Schrader film since "Affliction". It is extremely well directed and written, there is not a single doubt about that. The cinematography is great as well as the sound design, score may have been a little better though. It has a lot of dark humour which some times works and some times dosen't. The story, Ex-cons, Troy (Nicolas Cage), Mad Dog (Willem Dafoe) and Diesel (Christopher Matthew Cook), are hired by an eccentric mob boss to kidnap a baby and hold it for a large ransom. When the abduction goes awry, the men find themselves on the run from the mob and the cops. Vowing to stay out of prison at all costs, getting away with the crime is a matter of life and death. 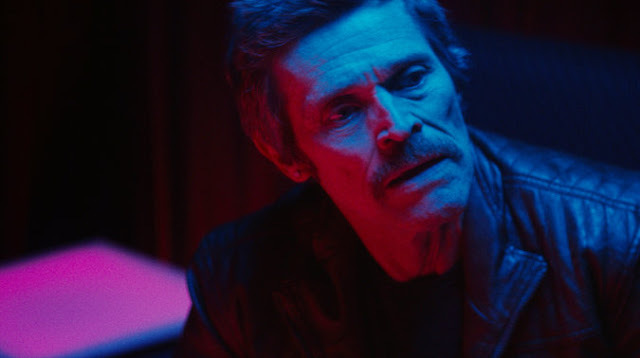 Performances: William Dafoe is brilliant in the film, he is the only one in the film whose acting I liked. On the other hand there was Nicolas Cage, he was just like Nicolas Cage as usual. Melissa Bolana was decent as was Louisa Krause. Paul Schrader himself did his acting debut with this film, and I think he did his job pretty good. This is a type of a crime film, that may seem like at moments, okay we have seen that. But what I can say is this, it certainly is very enjoyable and highly entertaining. The screenplay of the film, is very well written at moments, overall Schrader did a good decent job. It certainly is better then last couple films of his. 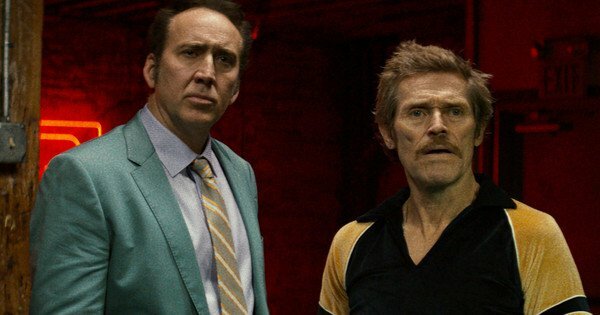 So, I suggest Dog Eat Dog, it is far from years best, but it is a joy to watch.